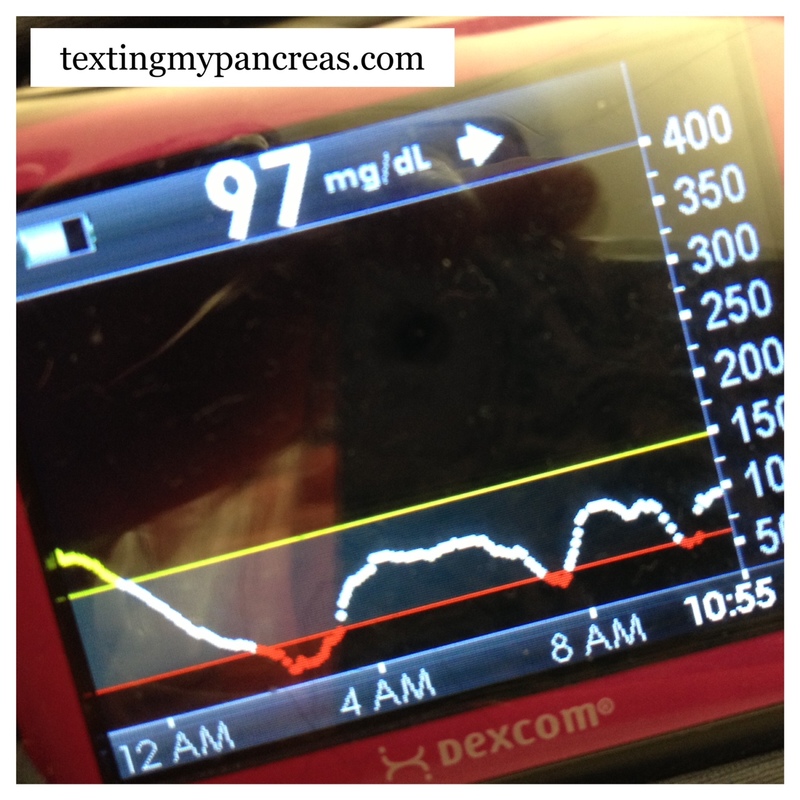 Texting My Pancreas: Week Thirty One. Last week began the phase of pregnant-while-awesome diabetic where I'm at my regular OB's office every week, for the main purpose of doing an ultrasound that checks out Baby Girl's development in several areas - a biophysical profile (or "BPP", for short). This test involves the ultrasound tech measuring things like the amount of water in the swimming pool (amniotic fluid), looks for "practice breathing" (and she's been doing that with gusto both times), and measures all parts of the baby's rapidly growing body, including heart rate and muscle tone. 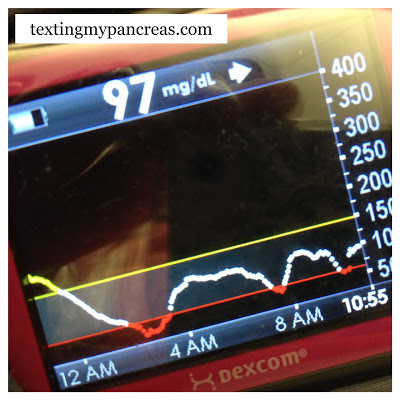 I think that non-diabetic people get these too, but later on in pregnancy, and not nearly as often. I'm also happy to say that Baby Girl has received perfect scores on both BPPs so far. Yahtzee! As for me, everything still looks pretty good. We continue to keep an eye on my blood pressure, and I continue to wish that the nurses would give me more than 30 seconds after we've entered the exam room to check it, as the readings are always consistently higher than the ones I see at home. Heartburn has been less frequent, and while the belly has gotten more uncomfortable to lug around, I haven't let it be too much of an excuse to sit out of possible fun. (I even made it through seven innings of a College World Series game this past weekend!) While my weight gain is following a good pace, I found out at my most recent appointment that the actual belly is measuring five weeks ahead. FIVE. What? The toughest part for me now, mentally, is that for at least another month I have no idea what The Plan To Get Her Out is. There are too many variables; too many things that can change for better or worse between now and go-time. Decisions like when, the manner of delivery; all of it rides on what happens in the coming weeks, and there's no way to really know how it will all shake out, yet. Her estimated weight, how many (and how large) the fluctuations in my blood sugar are, and many other factors will determine how we proceed. No pressure though, right? Just keep moving forward - that's what I'm telling myself. However she arrives, it will be a fantastic birthday! My cousin just had a baby (non-D-but high risk) and she figured out she has nervous High BP. The nurse would check her BP right when she got there and she'd be high. But then they started checking it at the end of the appointment and she'd be in range, so maybe you can have your nurse start checking it twice. It's worth a try maybe. :) Good luck on the next 9 weeks! Reasons I Love My Healthcare Team.